Putting the cart before the horse is how Bajaj Auto’s Managing Director Rajiv Bajaj describes the government’s plan for accelerating the adoption of electric cars. His criticism of the policy is based on one point: If there is no demand, what’s the point of speeding up manufacturing? 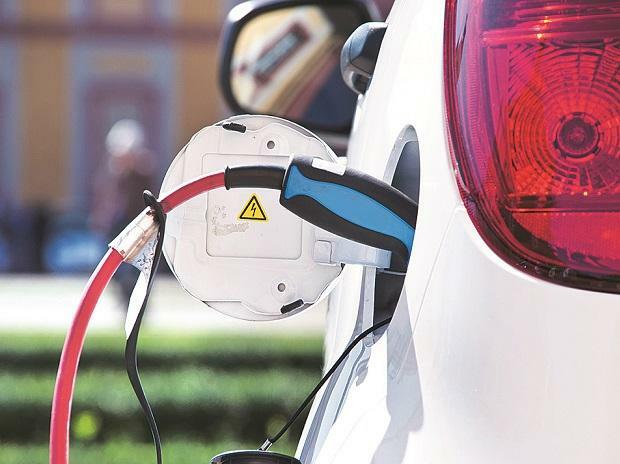 “The scheme for incentivising electric vehicles (e-vehicles) under FAME II (Faster Adoption and Manufacturing of Electric and Hybrid Vehicles) isn’t optimal, as it glosses over the fundamental issue of demand generation,” said Bajaj. He said the flaw with FAME II was that it addresses the wrong end of the problem by linking incentives to localisation. “There is nothing in FAME II that encourages demand generation. It is like those old criticisms that used to be thrown at socialism — that it focused only on wealth distribution and not on wealth generation,” Bajaj told Business Standard. In February, the Cabinet announced a Rs 10,000-crore scheme to promote electric and hybrid vehicles. To be implemented over three years, FAME II, an expanded version of the earlier FAME India Phase One, aims to encourage Indians to adopt such vehicles faster through providing incentives to manufacturers and through setting up charging infrastructure. Instead of incentives, Bajaj believes, the government should mandate a small percentage of e-vehicle production by automakers starting from next year and step it up progressively each year. “This would create a sizeable scale over the next decade and lead to localisation,” he said. Bajaj believes that, contrary to popular wisdom, it is not the lack of widespread charging stations or the range of such vehicles that is the issue. Rather, the biggest hurdle in the faster adoption of e-vehicles is a strategic conflict of interest. “If the vehicle is priced for profitability, there will be no demand. If it’s priced for good demand, it’s suicidal for the manufacturer. It will help if the scheme or the government’s policy is aimed at mitigating this conflict,” said Bajaj. In his view, the moment there is demand generation, localisation will happen on its own. Therefore, the government should focus on encouraging Indian companies to procure motors and controllers, etc. from the best in the world, whether it is Korea, Taiwan, Germany or Japan, so that they are equipped to make world-class products. His criticism comes amid government optimism over achieving a high level of e-car adoption. A report produced by NITI Aayog and the Rocky Mountain Institute and released on Friday said India could achieve a high penetration of e-vehicles through FAME II: 80 per cent for two-wheelers and 30 per cent for private cars. “Vehicles eligible under the FAME II scheme can cumulatively save 5.4 million tonnes of oil equivalent over their lifetime to Rs 1.72 trillion,” the report said. With effect from April 1, 1 million registered electric two-wheelers (among other vehicle categories), with a maximum ex-factory price, will be eligible for incentives of Rs 20,000 each. In order to fulfil the qualifying criteria for demand incentives, a hybrid and e-vehicle should be manufactured in India and have a certain percentage (to be announced from time to time) of localisation. The simple solution for demand generation, suggested Bajaj, is for the government to mandate that, from 2020, 5 per cent of an auto manufacturer’s production must be electric, in the same way that it mandates emission and safety norms. This figure of 5 per cent can be progressively increased each year. Five per cent of the monthly volumes of domestic two-wheelers translate into 80,000 units (including motorcycles and scooters) a month and almost a million units a year. Once volumes are at this high level, said Bajaj, manufacturers will be encouraged to localise automatically and to price the model in a manner that it sells. With this approach, he estimates, 10 per cent of India can become electric in three years. The target can be staggered. “It can be 2 per cent in 2020, 5 per cent in 2021, and 10 per cent in 2022. This will help manufacturers to learn, consumers to mature, the infrastructure to come up, and there will be confidence among all the stakeholders,” said Bajaj. Not everyone endorses Bajaj’s views. Chetan Maini, founder, Sun Mobility, who is credited with giving India its first e-car, Reva, said: “It is good to have a phased localisation plan as we need to build the entire ecosystem of original equipment manufacturers. This gives some heads-up to industry players to start investments and enables them to benefit from such investments by availing themselves of the concessions associated with them,” he said. In a recent report, Hetal Gandhi, director, CRISIL, observed that FAME II ends the subsidy for 95 per cent of e-scooters. She said it discontinues benefits for scooters powered by lead acid batteries and links incentives for lithium ion batteries to battery size. Gandhi believes that the requirement of a high percentage of localisation in manufacturing under FAME II will prove to be a hurdle for many original equipment manufacturers. “And going ahead, upgradation of products and localisation will increase the costs for e-scooters, which could hurt demand,” she said in the report.